You will only be able to request a payment extension if your balance is overdue. 6. To accept the payment extension offer, tick the box next to the terms and conditions then select Accept. 7. 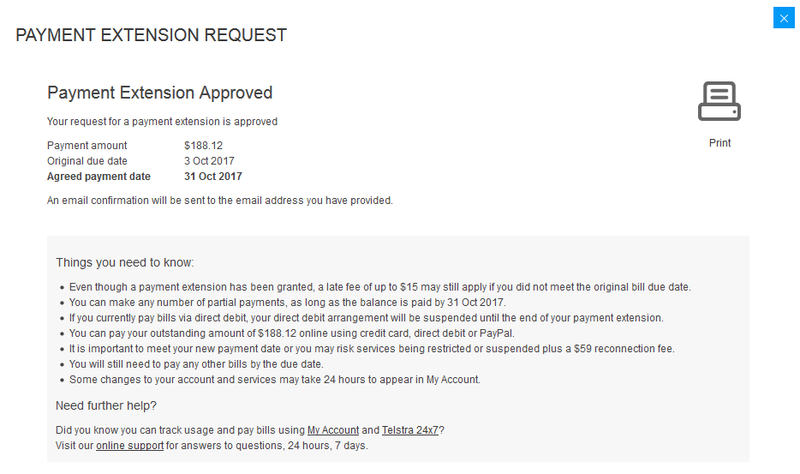 If the payment extension offer isn’t suitable, select Request more time. 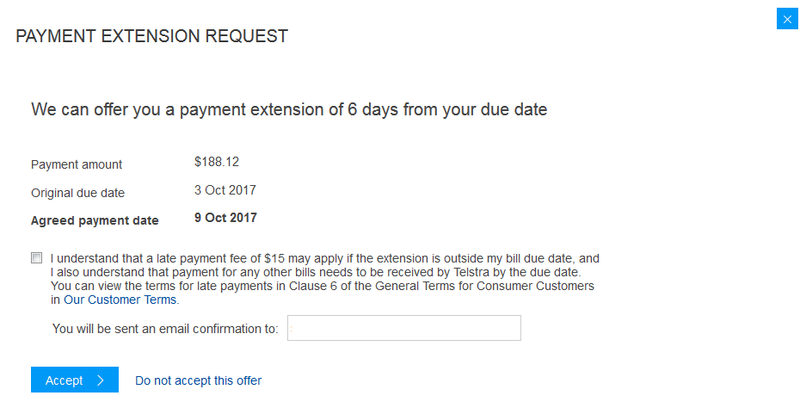 How do I request a payment extension in the Telstra 24x7® App? If your overdue amount is $70 or more and your extension is approved, you may still be charged a late fee of $15, unless you’re eligible for a pensioner discount.